Welcome to New U Hair Salon in Fredericksburg VA, a salon that is all about you! What sets us apart from other Fredericksburg hair salons? We offer high end designer looks without the high end price! Our stylists work diligently to stay at the forefront of current worldwide fashion trends in order to bring you cutting edge techniques and creative styles. Every stylist at New U has achieved master stylist status so you are guaranteed perfection at every appointment! Our specialties include haircuts for women and men, razor cuts, and every facet of hair color including custom color, men’s hair color, camo color, foil highlights, color correction, balayage and ombre color. Keratin treatments, deep conditioning treatments, hair straightening, waxing, and permanent makeup are also available at our salon. Ask us about our value packages which allow you to save money while receiving top hair salon services. Visit our Specials page for more money saving discounts. If you are a bride, schedule an appointment for a bridal or wedding hair consultation with our wedding hair specialists. 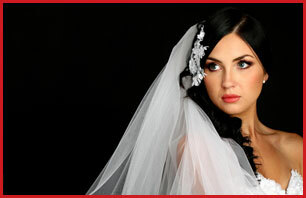 We offer a full range of bridal hair and makeup services from trial runs to the big day. We can create a breathtaking custom bridal hair style or updo along with custom bridal makeup for you and your entire bridal party. Our friendly team of talented and creative stylists are known for outstanding customer service and making each guest feel special with individual attention at every appointment. Discover why our first time guests to our salon become repeat clients! Wondering how to keep your hair looking like a super model? We have fabulous tips for keeping your hair healthy and gorgeous. Discover advice for curly hair styles, learn how to tame frizzy hair, great summer hair tips, and how to choose the best haircut for your face shape! Find out the secrets of making your hair color last longer and how to get super shine. The stylists at our hair salon have the answers. Your wedding day calls for extraordinary style...don't settle for anything less. Let our bridal hair and makeup specialists at New U Salon create a custom style just for you. Visit our bridal section to learn more about our services and get fabulous makeup and wedding hair tips. A helpful wedding hair planner is also included to help you count down to the big day. Hair color can be one of the fastest ways to transform your style. The stylists at our hair salon are color artists who can create any look you can imagine! Whether you want to go for a dramatic look or a few subtle highlights, we can achieve the perfect color to compliment your image. Click below to learn more about our hair color lines, our excellent men's color camo service, and tips for determining which hair color is right for you! Gift certificates to New U Salon make the perfect gift! Take the guesswork and hassle out of shopping for a present at the mall, and give the gift of style! Visit the Gift Certificates page on our website to instantly purchase and print a gift certificate in any denomination. With a gift certificate, the special people in your life can choose from our extensive menu of exceptional hair salon services that can be customized according to their wishes. A designer haircut, a gorgeous new hair color or a complete makeover....our stylists are masters at creating beautiful styles that turn heads! We make it easy for our Fredericksburg guests to spoil the ones they love! 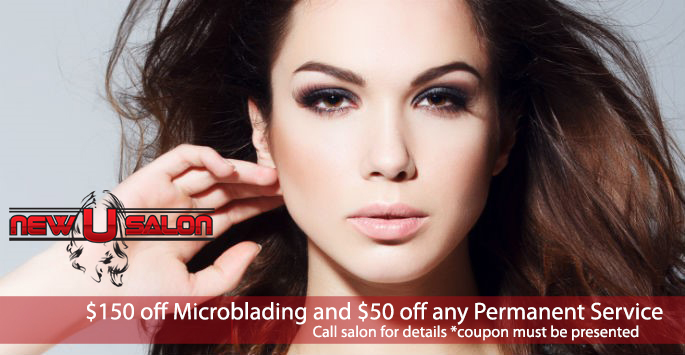 CLICK HERE to visit our Gift Certificates page. Transform the frizz and fly aways into unbelievably soft and silky smooth tresses with amazing shine. I have been going to New U Salon for about six months now and love it! Nidal is a great colorist and has an art for cutting and styling. He has earned my trust to do what he envisions would look best. This is the first hair salon where I don't come home and redo the style. The prices are reasonable, especially the package prices. The suggestions for additional services, such as eyebrow waxing, enhance the look and my self esteem. I love how I feel when I walk out the door! I am very impressed with this hair salon! I went to see Jennifer and she was absolutely amazing. My hair has never looked better! I've gotten more compliments on my color and cut in the past 3 months than I have ever received. She was very professional and friendly, and most importantly, really listened to me and what I wanted. The salon itself was very clean and very welcoming. Great experience, will definitely be going back. 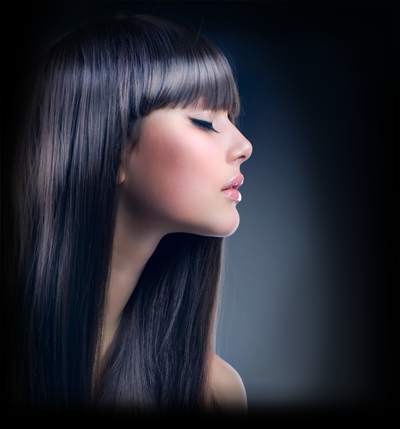 Discover why our clients say we are one of the best hair salons in Fredericksburg VA! Make an appointment at New U Salon today. We offer high end looks without the high end price!